Why would I need self storage in Manassas, VA? There are a variety of reasons why you might need self-storage in Manassas, VA.
How much is a storage unit in Manassas, VA? The cheapest storage unit in Manassas, VA is $27.00 per month. What size storage units do you have available in Manassas, VA? In Manassas, VA we have sizes that range from 5'x5' to 12'x25' to suit your storage needs. How much is it for a 5'x5' storage unit in Manassas, VA? The cheapest 5'x5' storage unit in Manassas, VA is $28.00 per month. 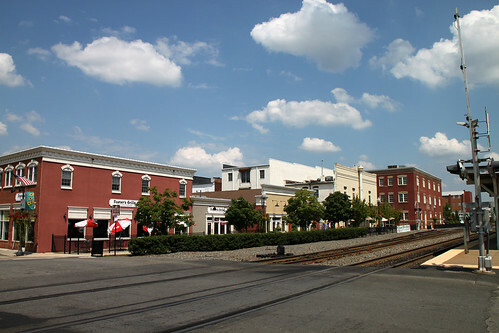 Located right outside the nation's capital is the quiet, friendly town of Manassas, Virginia. Its sprawling but attractive residential suburbs in the D.C. metro area have made this community an ideal option for commuters looking to raise a family outside the nation's capital. With easy access to excellent shopping, schools, golf courses, local attractions and civic amenities offered in Manassas and its neighboring cities, it's no surprise that it has experienced steady growth in recent decades. One of the highlights of Manassas' history was the role it played in the American Civil War. It was the location of the First Battle of Manassas in 1861, the war's first major land battle. The following year, the Second Battle of Manassas (often called the Second Battle of Bull Run) also took place in the area. Both battles were won by the Confederate forces, but the Union was actually in possession of Manassas for most of the war. Although Manassas was just a small railroad crossing at the time, it was actually an important strategic spot. The railroads that converged in Manassas led to major destinations like Washington, D.C., Richmond and the Shenandoah Valley. After the end of the Civil War, the community was able to grow and flourish, earning incorporation as a town in 1873 and as a city in 1975. Manassas serves as a transportation and business center for those working in and around D.C, as well as a comfortable suburb to call home. It's located just 30 miles southwest of our nation's capital and boasts an array of restaurants, shops, museums, entertainment options and events. A variety of major companies call Manassas home, as does the largest general aviation airport in Virginia. Due to the dramatically increasing cost of living in the D.C. metropolitan area, more and more people are finding Manassas to be a comparatively affordable are in which to raise their children and settle down. The diverse range of employers in Manassas brings economic stability and growth to this smaller city. The cost of living is affordable, and many businesses are attracted to Manassas for its central location, educated population and strong workforce. The low unemployment rate is also a major positive, especially if you're planning to look for a job in the area. Manassas City Public Schools oversees the public schools of Manassas. There are also a few Catholic parochial schools in the city, including Seton School and The All Saints Catholic School. Utilities: The city owns and operates its own electricity, water and sewer utilities. Garbage and Recycling: Manassas is divided into several collection zones for pick-up of trash, recyclables and yard waste. Transportation: Public transportation options in Manassas include both commuter rail and regular rail service. Homes are surprisingly affordable in Manassas, at least when compared to many other growing suburbs in the Washington, D.C., metro area. There's a balance of new construction and established communities, as well as plenty of options for renting rather than buying. It's fairly easy to find a well-priced single-family home on a large, tree-shaded lot, ideal for those with growing families or with pets. Our lowest priced units in Manassas, VA average $43.22 per month. 319 people have reserved units in Manassas, VA in the past 30 days. There are 9 locations within Manassas, VA's city limits. There are 4 locations in Manassas, VA that offer AC and Heating features.